A garage sale is an excellent way to rid yourself of clutter and make a bit of cash, but don’t waste your opportunity. 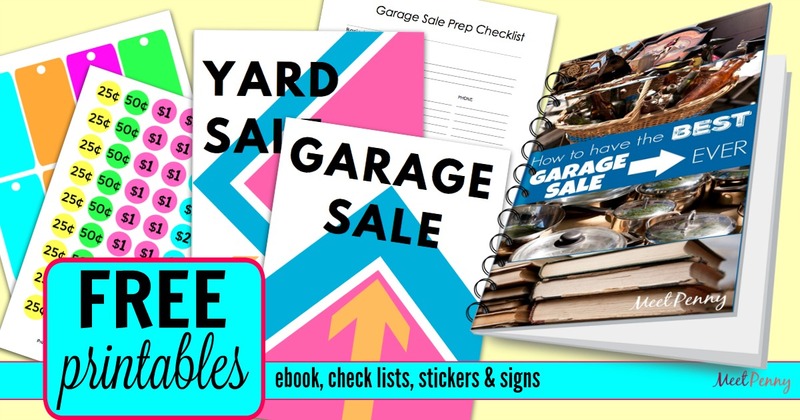 Make the most of your event with these garage sale tips from a veteran yard sale host. When winter wanes and it’s time to Spring Clean, garage sale signs pop up each weekend on every street corner. My mother and I have been having garage sales (which I often call “yard sales” in this article) for as long as I can remember. At one time, we hosted a yard sale twice a year with one in the Spring and one in the Fall. People would see our sale and immediately turn around to find us because we had a reputation for having the best garage sale. At our largest yard sale, we made over $1,000 in one day. At the smallest, we made about $250. 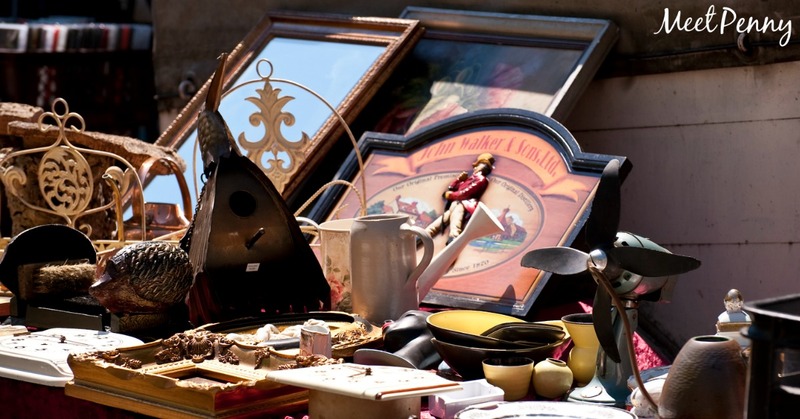 While we could not tell how much money we would make at a sale, we have learned from our successes (and near failures) how to have a great yard sale. 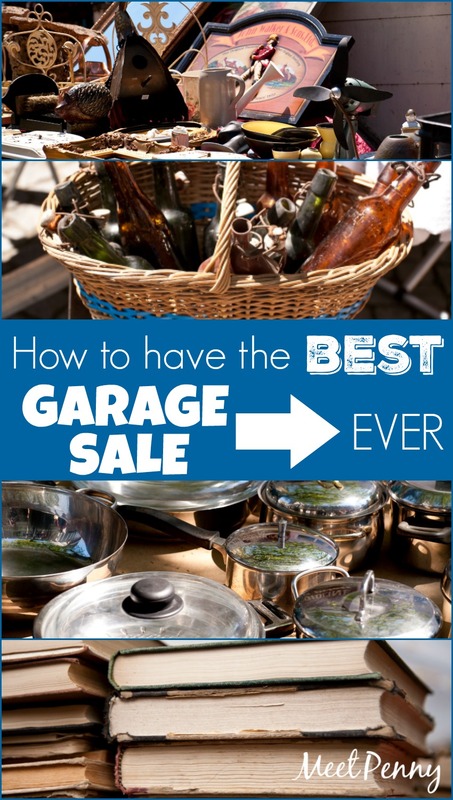 Now, I am sharing my garage sale tips with you! The first step to having a successful yard sale is choosing your date wisely. Give yourself enough time to get everything together. If you are inviting friends to participate, give them enough notice too. Be careful to avoid holiday weekends when people are traveling or have other things on their minds. Also, consider the weather. You do not want to have a scorching hot yard sale, nor do you want to freeze to death. And consider pay days. Does everyone tend to get paid on the first and third Friday of the month or the last business day? It is useless to have a yard sale if no one has money to spend. The best days for garage sales are Friday and Saturday, but I have seen people set up on Sundays. Now, it is time to start pulling the stuff out and pricing it. What can you sell? ANYTHING, and I do mean ANYTHING. Kids clothes and plus sizes sell the best, but don’t disregard your lingerie and worn t-shirts. I promise, I have sold more underwear at yard sales. Would I buy underwear at a garage sale? NO! But if you price it cheap and it will go! If you want to sell clothing, keep it seasonal. No one is looking for sweaters in 80 degree weather… unless your neighborhood crafter has a new project in mind. From kitchen utensils to appliances to napkins to half-used spices, everything goes it priced right. I am not just talking towels although they are hot sellers! Pull out those sample-sizes that you will not be using and the half empty bottle of conditioner that you just did not like. Nail polish, makeup, hair accessories, blow dryers and shavers… you name it! Clean it out! Sporting goods are great sellers and typically get a good value. Old paint and wallpaper also sale. Power tools are a man’s delight! Broken items? No problem! Even dead plants. Sell it! Pull out those scraps of material, paints, brushes, paper, and more. Scrapbooking stuff goes quick. Organizers, sewing notions and ribbon goes too. Yep, get the toys out. While they are not great sellers, you might get lucky… especially closer to Christmas. Have (clean) diapers leftover? Use a rubber band to keep them together and stick them out there. Wall decor, cribs sets, pictures… anything “baby” is a hot seller. 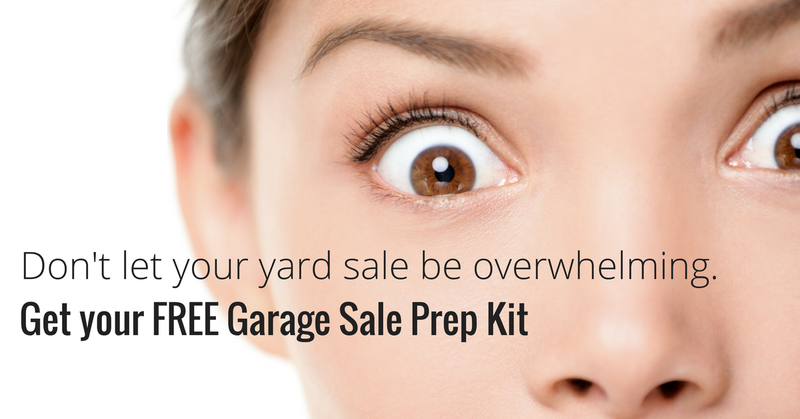 Subscribe and receive the Garage Sale Prep Kit for FREE. If you live in a parade area, stuffed animals will sell if you bag them together since revelers are always looking for throws. Also, pack up those board games. Missing pieces? Not a problem as long as you mention it to the buyer. Crafty people love framing board games… especially vintage ones. Extra lightbulbs and batteries that you do not need in your stockpile can sell although I would personally keep them! School supplies, cleaners that you did not like, bug sprays and the like will sell. Even empty hangers can be sold. Magazines, books, pencils and pens can all be sold in bundles. Ceramics and figurines also sell well. Furniture is a BIG seller with no pun intended. Picture frames will sell but only for cheap. I think you get the idea. But, do not just pull out the junk. 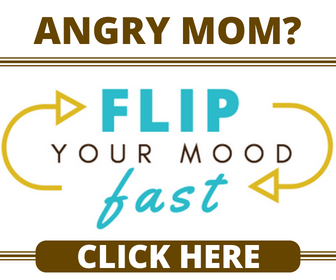 Get rid of the clutter! That brick-brack on your shelves that you are tired of dusting should go. Those items that you are keeping because so-and-so gave them to you but you have not used them. Sell them! Typically, a good rule is that if you have not worn it, used it, needed it in a year then get rid of it. And PLEASE… check all the pockets and creases of each item. I almost sold a purse with a pair of diamond earrings hiding in the bottom crevice. That would have made someone a sweet deal! To price or not to price? I think you should PRICE. People will still want to offer less so you can always take that into account when you mark your items or you can always refuse their offer. Either way, it makes it easier on you because you will not be scrambling for a price in the heat of the moment. Many stores sale stickers with prices already marked to use at yard sales. I recently loaded up on a ton of them marked for clearance at Walmart. Labels also work well. You can even buy tags with string attached. BUT, do not spend a ton of money on stickers when a roll of masking tape and a permanent marker will work too. One thing to keep in mind… the larger the item, the larger the price tag should be so it is easy to spot. You can use notebook paper and a permanent marker. Attaching the paper might be trickier. You do not want to damage your item when the price comes off. Neither do you want the wind to whisk your price away. Another tip about pricing, write the price on the sticker before placing it on the item. I cannot tell you how many times I have accidentally marked something with pen or (heavens help me!) permanent marker. Plus, you do not want any permanent marker bleeding through onto your clothing. Small items should be grouped together for a bigger sale and that makes it easier to price too. Keep in mind that rubber bands, plastic bags, safety pins and strings are your friends when grouping items to sell. Pricing is probably the most difficult part if the yard sale. As you think about the value of your items, you also must consider that you are setting prices for a yard sale economy. The best starting place for a price is 25% of what you paid. Yes, I said 25%. Go down from there depending on the quality and condition of what you are selling. If you want to charge more, check your prices at other area yard sales and even on Ebay first. Sometimes, it might be better to sell items on consignment or through an online auction. You can even use Craigslist or Facebook Marketplace to list your higher-value items for sale. But, if you want to have a clean sweep and get rid of it all at the same time, put it in your yard sale. 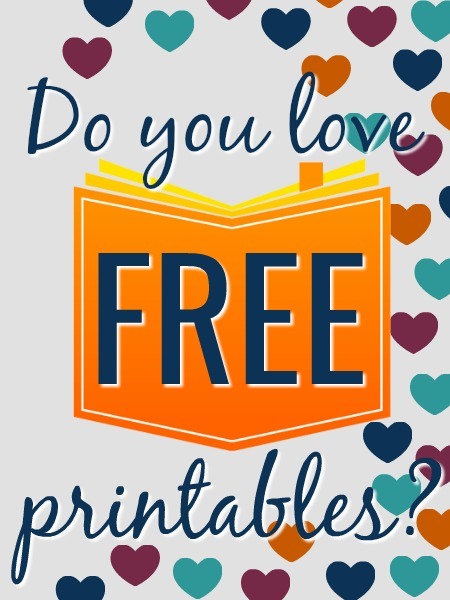 With higher-priced or newer items, you can print sales ads from the internet proving the value and/or describing the benefits. Attach these pages to your items to encourage buyers. One word of caution: If you have a multi-day yard sale, never negotiate prices on the first day unless it is something you never thought would sell. Please, do all of us yard salers a favor and clean your items so they do not look like junk but something you would want to buy. A Magic Eraser can work wonders on crayon and scuff marks. WD-40 works well too. Treat your clothes for stains or mark them cheap. Shine those shoes with furniture polish. Run a dust cloth over your electronics and furniture. Remove sticky spots from dishes and toys. I do not think things have to be perfect but a little elbow grease can bump your asking price up a little higher and that could never hurt. Remember that bundling things can increase your asking price too. Put small items in a plastic bag or group them with a rubber band. Putting loose items into a bag can also keep them from being scattered across your yard. I even bag shoes so that they do not end up losing a mate. Stranger things have happened. I also bag socks and underwear to get a better price. To keep people from dumping them, write on the bag how many are in it. Jewelry is easier to keep up with (and to keep from walking) if you place the pieces in snack-sized bags. If toys have multiple pieces, place them in a bag and tape it shut so the sweet children who come along for the ride do not “accidentally” pocket something, leaving you with a toy that suddenly drops in price because an important piece has disappeared. Overall, be fair. People know their prices and if your stuff is too high, they will not look twice at your yard today or even next year! They will remember you as the high prices and will not come back. What is a yard sale without traffic? Spring cleaning. You are just airing out your stuff if people are not coming by and buying. So, how do you increase your traffic? If you are on a major highway, you put out a sign or two on a couple of corners. Done. If you live tucked away in a neighborhood, your work is harder. Signage is your friend just like rubber bands and tags. Put a sign at every entrance and at every turn. Make your signs look alike so they will follow YOUR signs and not stop at the person down the street before they get to you. You can use balloons, curly ribbon or just the same color paint on each one so they know that they are still following the right direction. If you put directions on the sign, make them BIG enough to read at 50 yards away so that someone driving by with a line of traffic behind them can read it quickly. Use arrows too! BIG ones. Now, how do you make your signs and keep them in place. That is a little trickier. Foam-core board is a sturdy solution, and you can get two signs out of each sheet by cutting it in half with a utility knife. Then, use wire H-frames from the old political yard signs to support the foam board. The H-frame will slide right through the middle of the foam core. You can also use packaging tape to put poster board over old political signs. In a pinch, a yard stick or wood stake attached with a screw or two through a stiff board works but take a hammer with you to tap the sign into the dirt. I do not recommend taping signs to poles or traffic signs because the wind blows them around making it difficult to read. Placing signs on light poles can even be illegal in some areas. Check any rules for your area (including your neighborhood’s association rules) and abide within those guidelines to keep your neighbors happy. A cardboard box weighed with a brick or even a large, brown paper bag with a weight in it, stapled shut to form a tent, can work. I recommend attaching a piece of neon poster board to your box or bag so it can be spotted easily. Just do not make the poster board so big that the wind will blow your bag over. You want your sign to remain standing all weekend… even if wet. Now, let me talk to you about how to write on your garage sale signs. Think BIG…. then think a little bigger. Do not write on your signs with a ball point pen or pencil – even if you plan to make bubble letters – but write with a fat black marker. Letters in big, bold paint. Dark colors on bright signs work best. Choose a pastel and set it out a day or two early and then the sun fades it to nothing. Go dark, big and fat! When you are driving into your neighborhood, make a mental note of how far back you can read it. If you cannot see it, other people will not see it either. Place the main signs out a couple of days before your sale to let people know what is coming. These will be the signs on the major street corners near your home. Why so early? You want people to wake up early and come see you. To make your yard sale part of their weekend plans. Then, the night before or on the morning of the sale at the crack of dawn, put a sign at each corner between those main signs and your home. Should you place an advertisement in the classifieds of your local newspaper? It depends. If you have tons of a particular item (baby clothes, sporting goods or other items related to each other) or have big items such as furniture, YES. If you just have a hodge-podge of miscellaneous stuff, NO. If you live tucked away off the main road, YES. If you live in a high traffic area, NO… unless you have the a lot of specialty items as mentioned above. If you have multiple families participating, YES. Big sales draw big crowds if they know where you are. For three lines and three days in local newspaper, you can expect to pay between $25 and $35 depending on your location and the length of your advertisement. 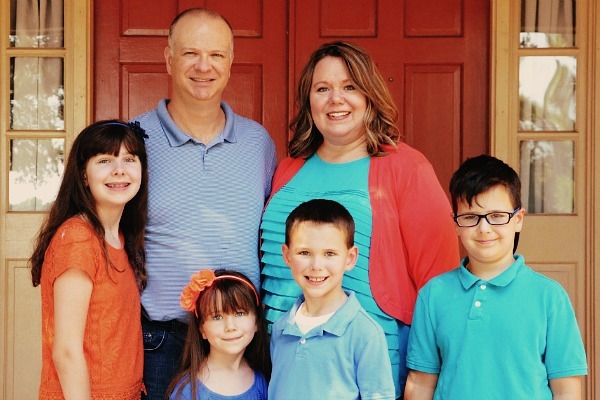 If there are multiple families participating in your sale, you can split the cost and that makes it more affordable. Also, do not say you are selling “miscellaneous” in your advertisement. Those ads are a dime a dozen and not worth the expense because everyone knows you will have miscellaneous stuff. That is just the nature of a yard sale. State exactly what you are selling if you want the right crowd. Utilize other advertising too… like Facebook. Use your status to tell people about your sale and ask them to spread the word. Find local groups to join and promote your yard sale. You can even create a free event page for your yard sale and ask your friends to invite their friends using the “share” button. Create a free ad on Craigslist. Put signs in the local laundromat or other community bulletin boards. Just get the word out there. You want traffic and lots of it. If you have people, you will have sales! If more than one family is participating, set a standard for how items will be priced. Talk to one another about what to charge for similar items. If everyone is selling towels or dishes, they should be priced alike. Also, have a system for keeping up with who is selling what. Our family using initials on the pricing stickers. Then, at the check out, we have a page for each person. When a customer wants to check out, we write down the amounts from the pricing stickers on each person’s page and then total the sale with a calculator. Each page is tallied at the end of the day and balanced against the money in the cash box. If extra money is in the box, we split it evenly. If the bank comes up short, we spilt the difference evenly. You can also offer your yard sale as a consignment service. I charge 20% commission for someone to bring their stuff, set it up, and leave. Should they bring their own tables? When should they pick up the remaining items? Do they want remaining stuff to be donated? Is everything clearly marked with the price and their initials? Are items clean? Are broken items labeled as broken? How negotiable are the prices? Allowing friends to drop their stuff and leave is NOT recommended, but it is a possibility. The day you have been planning for has finally arrived. Are you excited? You should be. If your signs say that you will start at 7 am, make sure that you are set up before 7 am. You do not want people pulling up to find you still unpacking boxes. And, I do mean UNPACK every box. Hang clothes… unless… if I have a ton of kids clothes all one size, I might leave them in a box with the sizes marked on the outside of the box. If I have a lot of baby bottles, those stay in the box together. But, leave plenty of room in the box so they can move stuff around and expect to reorganize the box as the day goes. My mother came up with a great idea for hanging clothes. Stand up two ladders and put a pole between them. Works like a charm! You can string rope between two trees but be prepared with a broom handle if the rope starts to sag. You can even hang from your fence but be aware that things might snag. Put your larger items in the front so they attract attention from those who will drive by and look before deciding whether or not they want to stop and shop. Do not be offended if they keep going because they might be looking for something particular that you do not have. We use a lot of card tables and such to put our items out and to keep them off the ground. Flip your boxes over and use them too. If you have to, pull out your kitchen table and coffee table or borrow tables from neighbors or your church. Group your items together according to what they are. Kitchen stuff on one table. Kids stuff together on a blanket. You get the picture. We even made signs one year. We had a “Handyman’s HangOut” for tools and broken items. The “Kitchen Counter” had all our kitchen goods. The “Kiddie Corner” had our children’s stuff. Avoid setting up your yard sale in the backyard or inside your house because out of sight is out of mind. Also, it can be intimidating enough to walk into a stranger’s yard. Do not make it harder by making them walk to your backyard. Clear the ground or floor of anything that someone might trip over and remove any pet waste. Mark any natural hazards like large tree roots with signs to “watch your step” or put a table over the rough terrain. Lock up your dogs. Many people – including my daughter – have a fear of animals or allergies. While your sweet pooch might be as harmless as a fly, Fido’s presence can cause some shoppers to shy away. Put candles and music in the shade away from the hot sunshine. I have lost many sales due to melted candles. Sell knives with the blades closed or wrapped to avoid injury. 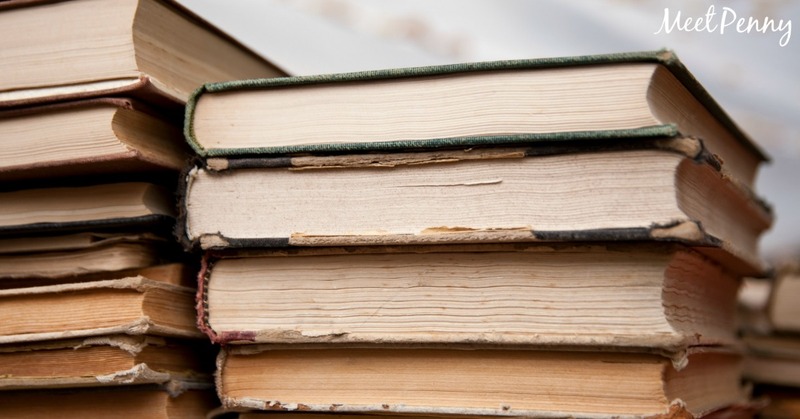 Stand up books, CDs and DVDs on a bookcase or in a box so the titles can be easily browsed. Keep your empty storage containers under your table for when it is time to pack up or flip them over to use as extra table space. You want the end of the day to be as convenient as possible. Set up your tables parallel and perpendicular to one another with enough space to move between them. People should be able to walk along both sides. Make a display shelf from two chairs and a board. Place small items (like jewelry) closer to the check out station to keep people from “accidentally” forgetting to pay. Batteries for trying out electronics – but don’t sell them! Put your check out station where you can see everything. Although we use a cash box, you can keep your money in just about anything. Use a muffin tin or drawer organizer to sort your coin. Keep cash in a pencil box or bank bag. It is also handy to have plastic bags for your heavy shoppers to carry things to their car or to wrap up breakables. Have a calculator ready and an extension cord plugged in for electronics and appliances to prove that they work. You may want to have a trash bag handy too because trash seems to accumulate sometimes. The best form of currency at a garage sale is CASH. Preferably USD (if in the United States). But don’t be surprised if someone offers to pay you in foreign currency. It does happen. Just smile and refuse. As for checks, that’s a slippery slope. We accepted a check one time for a high-ticket items but that was risky. How did we know it was a good check? How did we know it would not bounce? We just got very lucky. Of course, in our modern times, most people carry plastic. Credit cards or debit cards can be accepted (if desired) using PayPal or Square. Contact the company of your choice for a device that plugs into your tablet and download the corresponding app. Then, you can accept all major credit cards. But be aware that there is a small fee for using this service. Paypal or Square will withhold about 3% from your deposits. By the end of the day, you will be worn out. Completely. So plan ahead for things that will need to be done later that evening or the next day and do as much as possible ahead of time. For instance… dinner! You do not want to waste your profits on cheeseburgers and fries… or do you? Plan for quick sandwiches at lunch and put chili in the slow cooker so dinner cooks while you are working. Everything is ready and here come your customers. Do not just sit there like a stump, get up and move. If you are working the sale by yourself, this can be difficult because you need to stick close to the check out station (to guard your money!) If there are others helping you, one can be at the check out and one can work the sale, greeting people, straightening items, and answering questions. One thing that I have started doing (because I am often alone at different intervals during the yard sale)…is I use a tie on “money belt”. I got mine at Home Depot a while back. It is kind of like a tool belt, but I can tie it around my waist to keep my money out of sight. Periodically, during slow times, I dash in the house and pull out money and put it in a box, keeping enough to make change. That way, I know the money is up safely and I can relax more. Be friendly with all shoppers and smile often. Be approachable. Offer help. Mention that you have an extension cord available if needed. Ask if the person is looking for anything in particular. Tell the person looking at your rice cooker about how great it cooks meals but that you decided to upgrade to a larger one. Mention to the new mom how beautiful her baby is. Do not go over board so that people are running from you, but be open. When people leave, whether they bought something or not, thank them for stopping to look. Have boxes available to act like a shopping basket. Tune the radio to an easy listening channel to give the sale a friendly atmosphere. Serve free coffee and/or iced water. 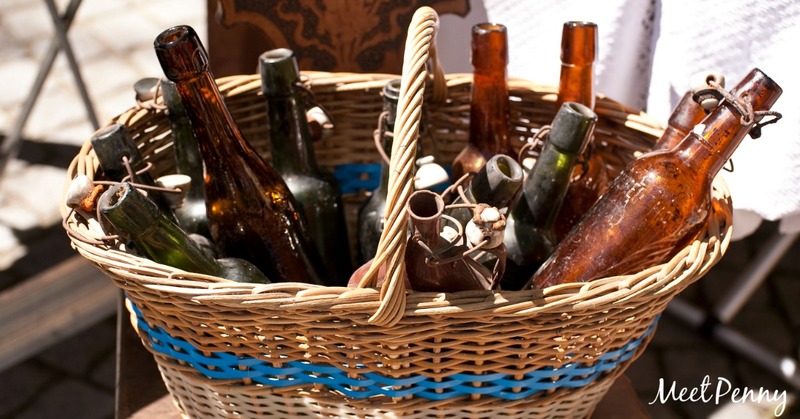 Sell sodas or bottled water (iced in a chest) and individually packaged snacks. Use a bubble blower to draw the attention of children so that parents can shop. 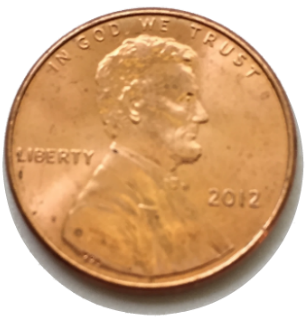 Periodically through the day, take larger amounts of money inside your home for safe keeping. Keep your sunscreen handy and try not to wear sunglasses so you can make eye contact with people. When your closing time comes and the customers have cleared, start packing up. As I pack up, I make a box for items that will sell at the next yard sale, a box for things that can go on Ebay, and a box for charity. If you want, you can send it ALL to charity. Some groups will even come pick it up. Others have drop off locations. Just keep in mind that you can use it as a tax deduction but you need a receipt and can only claim the fair market value of each item… that is higher than yard sale value but not the price you originally paid. Go pick up your signs and stash them away with the stuff for the next yard sale. Then, add up your profit! Cha~Ching! So, think it through and you can have a very organized yard sale. An organized yard sale with good “stuff” and fair prices keeps them coming back. If you have any questions or suggestions, please leave them in the comments. I am still learning too and look forward to your ideas! « ABCmouse Review: Is ABCmouse Worth the Cost? The sales tips you give are great, it helps a lot for my work.